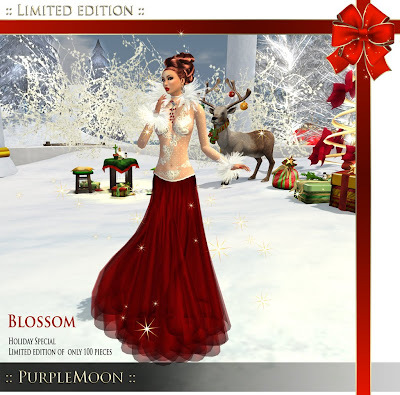 Holiday Specials @ PurpleMoon | ! *PurpleMoon Creations* ! 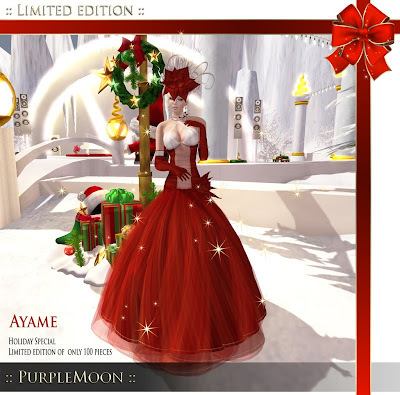 As you have seen the spirit of Christmas has already arrived to PurpleMoon! We have many surprises for you along the month and today we start with the first "Holiday Special Sale"
I created holiday versions of five of our most popular gowns. But these are not only special editions are also LIMITED! And something else that makes them even more special is that they will be sold for less than its regular prize!!! Each of them has been reduced a 30%!!! The sale will run until january 10th, 2011 or until they sold out, whatever happens first. Hope you like them and take them out for a dance! PurpleMoon Show on Treet TV! 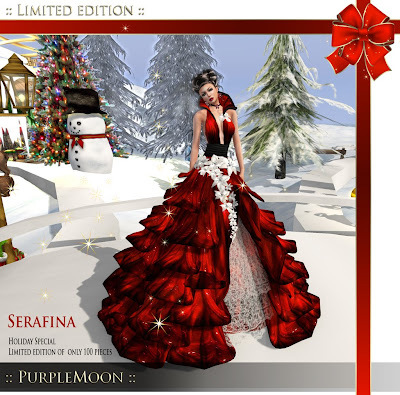 The "Happy Holidays From..." Hunt Gift "Salma"